It’s an exciting day at Wimbledon with two stellar matches to watch. Though we sadly don’t have tickets to the grounds, we can share in the spirit both tennis and alcohol related. Of course, the best thing to drink at Wimbledon is Pimms, in true British style but because we’re not there and to celebrate the other European players, we’ve come up with some fun and ‘alternative’ cocktails. Place the lime and ginger into a glass, and add 2 cl of Cognac. Then add ice and stir. Add the rest of the Cognac the lemonade – then, finally add the cucumber peel. However, if this doesn’t really float your boat and you’re hoping that the first match will be a classic five-setter so that you will have enough time to dash home from the office to watch what promises to be a stupendous showdown between Murray (come on, Tim!) and Federer (lovely hair!) then we would suggest you go for something much more refined, like a fine Swiss wine (yes, they do exist) or just stock up on the ginger beer and strawberries for Pimms O’Clock! It’s day 4 of Wimbledon and since yesterday was the hottest July on record, it is appropriate that today, rain is scheduled to interrupt play. What is Wimbledon without a rain break? It’s like the adverts on the BBC, gives you time to pop the kettle on and catch your breath from moving your head up and down your TV screen (or if you’re lucky enough to get tickets, left and right). We’re not really sure that tea is the best antidote to a rain break; we think that cocktails are much more chic. In his second round, Andy Murray will play Dutchman Robin Haase. Since we can’t be there to cheer Andy on or should ‘come on, Tim’ loudly at the telly in jest, we thought we’d come up with a few cocktails that you can make at home and that Andy can swig in the dressing room once play has been suspended. Are you Hasse-ing a good time? Yes, that’s right, we went there. But what better cocktail for a Dutchman than one that features ‘Dutch courage’, or gin to most of us, which originates from the spirit genever; we think that Hasse is going to need some serious Dutch courage today when he squares up against a previous winner of the tournament. Mix 3/4 oz gin with 3/4 oz Green Chartreuse, 3/4 oz Maraschino liqueur and 3/4 oz lime juice over ice in a shaker. Shake, and strain into a cocktail glass. We think that this will be very refreshing on such a hot day, stick a cherry in it if you like, they’re in season and will really bring out that liqueur! Mix 1 part mandarin vodka, 2 parts ginger beer, 1 part lemon juice, 1 part melon liqueur and 2 dashes strawberry puree in a cocktail sheker. Shake and pour into a chilled glass. Good luck, Andy we’ll see you in round three (fingers crossed). If you have enjoyed our cocktail suggestions, you can find more in Spirits distilled by Mark Ridgwell, as well as a fascinating history of spirits and their distillation process. Many people this time of the year are choosing to observe ‘dry January’ in a bid to detox their bodies from all the Christmas overindulgence. We’re almost half way through the month now and many of you may be rethinking a whole 31 days without alcohol. Rather than going cold turkey and risk crying in the wine aisle at the supermarket, why not adjust your goal to something more reasonable such as only drinking at weekends. We’re also approaching that dreaded of all days, ‘blue Monday’ where the entire human race seems to question its own existence and wonders whether it isn’t better to just admit defeat and look for the answer at the bottom of a large bottle of Jack Daniels and the wrappers of the now not-so-amazing Cadbury’s creme eggs. Perhaps, rather than drowning your sorrows in whisky, you could take this month of reflection to learn more about the spirits that you regularly consume during happy hour. Mark Ridgwell’s Spirits distilled is an excellent book filled with everything you need to know about spirits. Each chapter begins with a brief history of the drink and provides ample opportunity for you to bone-up on your knowledge and impress your colleagues at after work drinks. Perhaps this is the month to drink the bar dry or to enjoy a dry gin and tonic. Be creative and impress your friends by coming across as a cognac connoisseur, a whisky wizard or a gin genius. Ridgwell’s book is interspersed with quizzes so that you can test your knowledge on what you’ve read and prove that you really do know your stuff. All the best for the upcoming Monday, we really do hope that you make it to work on Tuesday. Our sound advice would be to get back off the wagon slowly, tonight, treat yourself to a scotch (or American) on the rocks, then perhaps that bottle of JD will go down smoother than expected! In the 17th century the Governor of Moscow trained a large bear to serve pepper vodka to his guests. If any guest refused their drink, the bear removed their clothes. During the 30-years’ war of the 17th century, the British witnessed Dutch soldiers knocking back shots of genever (gin’s predecessor) before going into battle, eventually describing the habit as taking ‘Dutch courage’. Upon Nelson’s death, at the battle of Trafalgar, his body was placed in a barrel of rum. During the voyage home, the sailors drilled holes through the wood and drank the rum, giving rise to the British naval term for rum, ‘Nelson’s blood’. Although Prohibition was repealed in 1933, two-thirds of Kentucky remains dry, as does the town of Lynchburg in Tennessee, home of Jack Daniel’s. In 1387, it is told that Charles the Bad, King of Navarre, a region on the Atlantic coast that straddled the Pyrenees, died in agony when his sheets, soaked with the local eaux-de-vie, caught fire. During the first half of the twentieth century, tequila was thought of as a drink for nonconforming adventurers but in the 1950s a cocktail named the Margarita became popular in the Los Angeles area and demand for the drink increased. 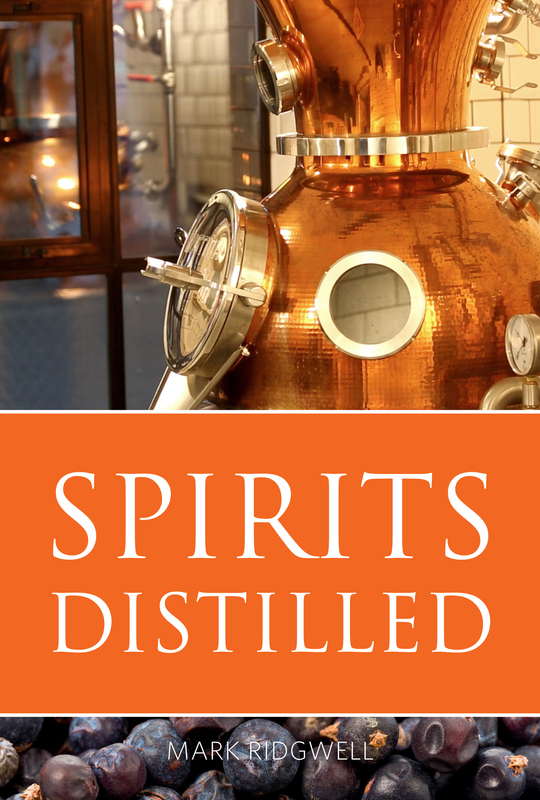 The best way to learn more about the exciting world of spirits is to read Spirits distilled by Mark Ridgwell. 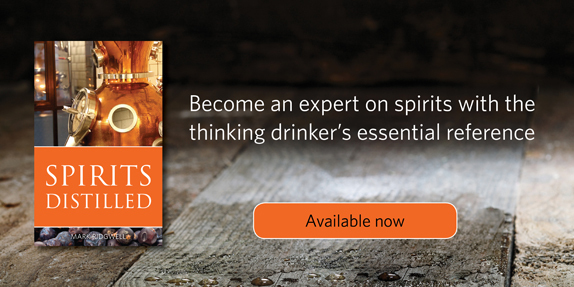 Spirits distilled by Mark Ridgwell is a comprehensive guide to all of the major spirit categories, designed to educate and inform those whose vocation or hobby is spirits. After taking the reader through the principles of distillation to a discussion on how to taste spirits, Ridgwell reveals the history and legends behind vodka, gin, tequila, rum, brandies, liqueurs, eaux-de-vie, flavoured white spirits and the entire range of whisk(e)ys. The quizzes at the end of each chapter are a fun and useful way of understanding better the spirits they enjoy. An essential book that belongs on the reference shelf of everyone who works with or enjoys spirits, Spirits distilled is a classic in the making. Mark Ridgwell has worked with many of the world’s leading spirit companies, including Smirnoff, Hennessy, J&B Rare, Ballantines, Beefeater, Courvoisier, Canadian Club, Bols and Hiram Walker Liqueurs. The pinnacle of his corporate career saw him taking Maker’s Mark out of America and introducing it to the rest of the world. In 1999 Mark left the corporate world and set up Taste and Flavour, a network of renowned speakers who are passionate about spirits and keen to share their knowledge with enthusiasts and professionals alike. Mark worked with the Wine and Spirit Education Trust to create the Level 2 Certificate in Spirits, now called the Level 1 Award in Spirits, the only globally recognized vocational qualification relating to spirits and liqueurs. An uncorrected PDF proof is available for review. Mark Ridgwell is willing to give interviews. For more information please contact Catherine Holdsworth: catherine@infideas.com; 01865 514888. Quiz: how well do you know whisky? Now that the referendum is over and we’ve all breathed a sigh of relief over the fact that we won’t have to change our passports or bulk-buy haggis before the price rockets, we think that a drink is in order to celebrate the United Kingdom of Great Britain and Northern Ireland. So break out your whisky and, if you’re English, relish in the fact that import tax was just a bad dream! Glass in hand, why not try this quiz from Infinite Ideas’ newly signed book Spirits Distilled, by Mark Ridgwell, to see how much you know about the national drink of Scotland. 1. In what year did an Excise Act lay the foundations of today’s scotch whisky industry? 2. Scotch blends account for what percentage of all scotch sold in the world today? 3. A mash for scotch may be distilled to what maximum level of alcohol? 4. Which grain(s) are permitted in the production of scotch malt whisky? 5. Single malts, bottled as such, gained global recognition in their own right from which decade? 6. Which of these terms is a correct and legal description of a blend of malt whiskies? 7. Peat found in the Highlands typically contains what type of plant materials? 8. Which region in Scotland boasts the world’s largest concentration of individual distilleries? 9. Which single malt pioneered the current popularity of single malts? 10. 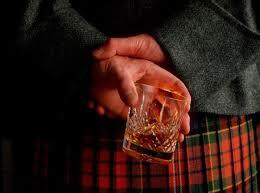 In what year was a law passed requiring all Scotch to be aged for at least 3 years? Answers will be posted on Monday. Good luck! If you’re excited about the publication of Spirits Distilled, then why not take a look at the classic wine library too. But what about the whisky? This week, Infinite Ideas signed a new book, Spirits explained by Mark Ridgewell. We love spirits, and not just the ghostly variety, so this new signing will make an excellent addition to the our series on wines and spirits. However, in all the excitement, we forgot, for just a moment, the impending Scottish referendum and were reminded about Scotland’s most profitable export, whisky. Tomorrow the polls will be open and the future of Scotland will be decided, but what does this all mean for the whisky business? 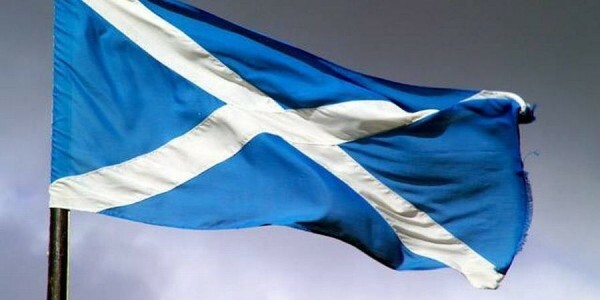 With Scotland’s future as a member of the EU still very much in doubt if the vote is a solid ‘YES’ will this mean that we will have to pay import tax on Famous Grouse? Whisky is as Scottish as haggis, tartan and highland cows, and the country thrives on the tourists who come every year for distillery tours and to sample their favourite spirit in its home. Whisky is to Scotland what Guinness is to Ireland. No longer will supermarket shelves be offering our good friends Bell’s, Glenfiddich and Johnnie Walker. The drink is embedded in Scottish identity and yet with Alex Salmond unsure about which currency he will be adopting if the country votes yes (the pound, the euro, the oat?) whisky makers are concerned about the effect that the global market will have on their soon-to-be ‘priceless’ products. Before you rush out to panic-buy your Scottish spirits in bulk, consider that the whisky business will flourish no matter what. An independent Scotland will still be providing us with the perfect nightcap (that is, unless they make an alcoholic irn bru) though it may be slightly more pricey, perhaps we will appreciate it all the more. Visions of hordes of whisky-lovers queueing up at the Dumfries border smuggling whisky back to England is a far cry from what you can expect. But for all those who have yet to make up their mind before the polls, you may be swayed by a tipple or two. Consider the whisky. Consider the whisky drinkers. Consider yourself…on the fence? 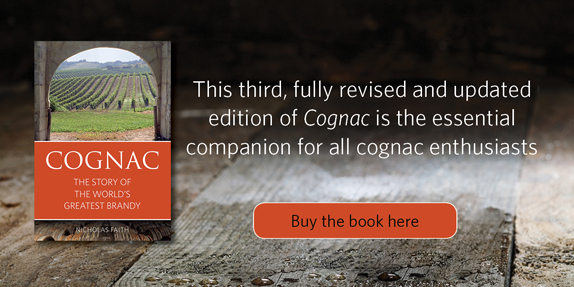 If this final push from both sides has got you all in a flutter, you can download Nicholas Faith’s guide to cognac for free, and have yourself a drink to settle your nerves. Cometh the hour, cometh the vote.